Ronald Edward Hall was born in Claypole about 1908, the 3rd son of Mark and Ethel Hall. His father was a domestic gardener and the family had just moved from Pembrokeshire. He attended Claypole primary school and was a member of the church choir. 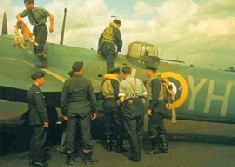 After leaving Magnus School in Newark aged 15 he entered the RAF training school for boys and remained in the RAF, including 5 years overseas. He married Elise Caroline Patmore of Hitchin in 1939, by which time his parents had moved from Claypole to High Kelling in Norfolk. In 1940 he was Mentioned in Dispatches. 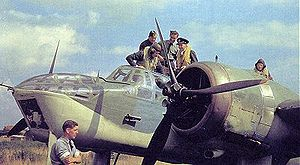 In the late morning of 13th Sept 1941 (age 33) he was a Flight Sergeant and part of the crew of Bristol Blenheim V5463 of 21 Sqn RAF on a sortie from RAF Watton, Norfolk. Shortly after take off the aircraft stalled and crashed into a hangar where it burst into flames, killing the crew and two airmen who were working in the hanger. Ronald was buried with military honours in Hitchin cemetery.